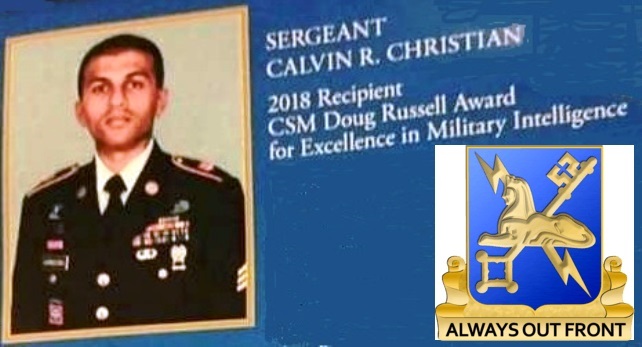 SERGEANT CALVIN R. CHRISTIAN 2018 Recipient of CSM Doug Russell Award for Excellence in Military Intelligence. 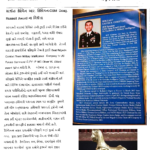 It is not only a proud moment for the family but for the Indian American community and especially for the Gujarati Christian Community. 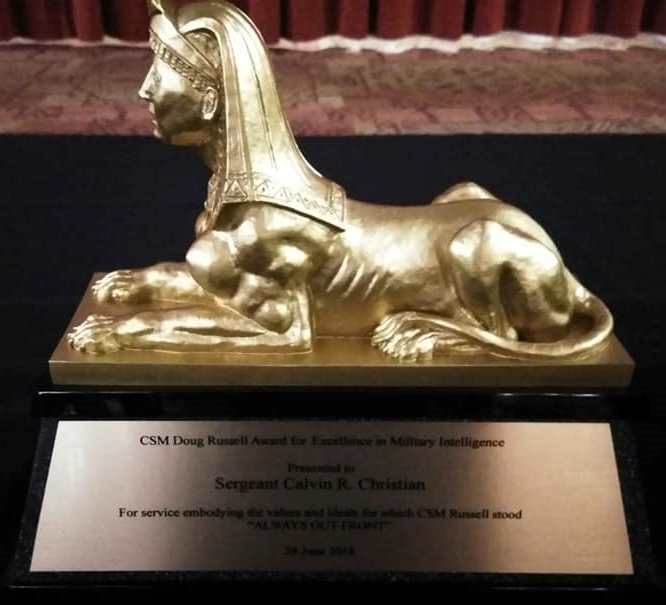 Many congratulations to Sergeant Calvin R. Christian for his courage, Services and intelligence. Sergeant Calvin R. Christian son of Mr. Robin Christian and Desdemona Christian, grandson of Rev. 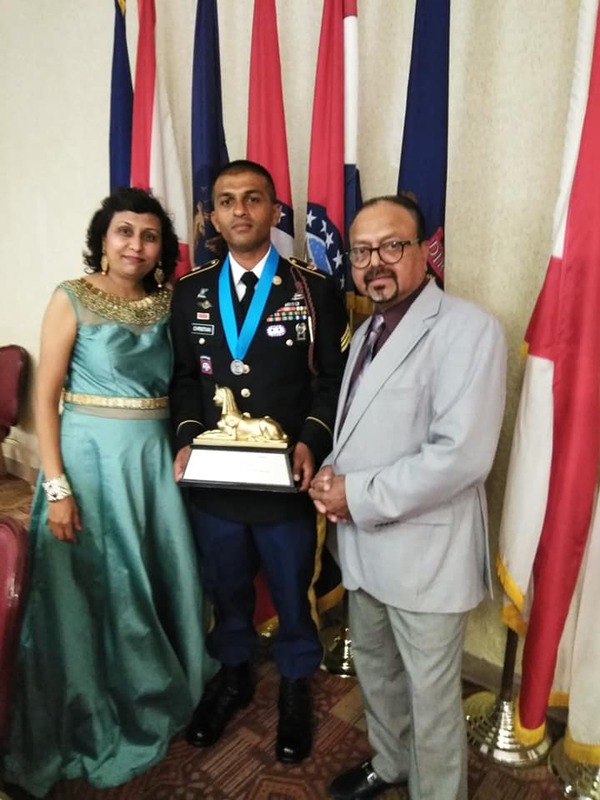 Manubhai Christian and Ruthben Christian was awarded “The Command Sergeant Major Douglas Russel J. 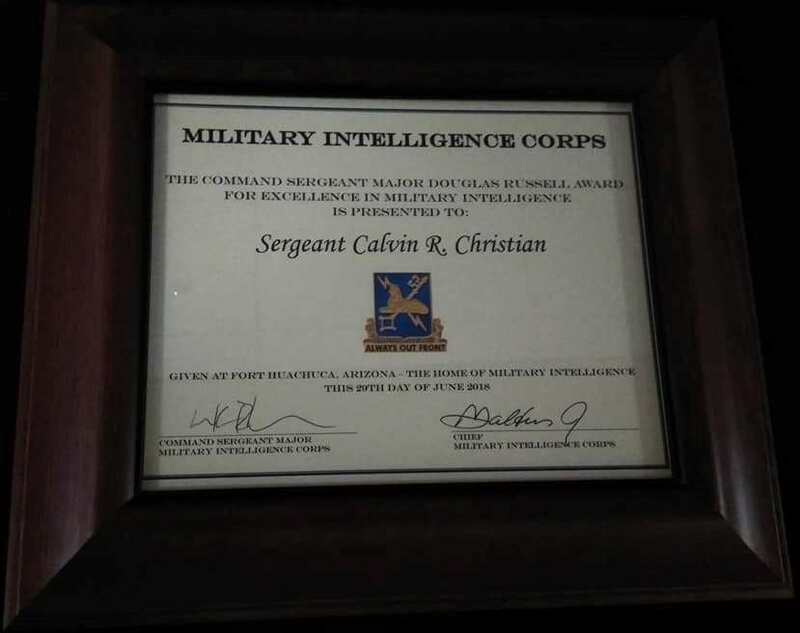 Award for Excellence in Military Intelligence” award for the year 2017 on June 29, 2018 at The US Army Fort Huachuca, AZ. 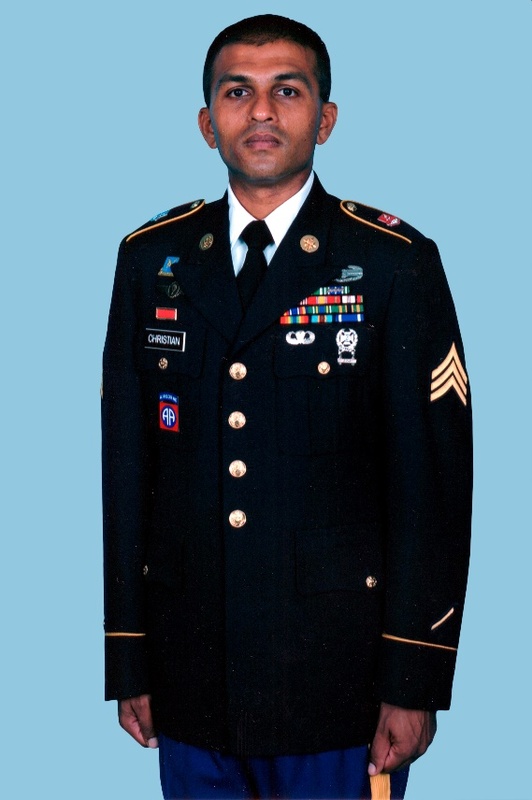 SGT Christian was born in Manama, Bahrain in 1982 and graduated high school in Colonia, New Jersey, in 2000. In March 2014, he enlisted in the United States Army as an All-Source Intelligence Analyst (35F) and graduated from Basic Combat Training at Fort Sill, Oklahoma. 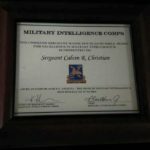 After completing Advanced Individual Training at Fort Huachuca, SGT Christian served as a Long Range Artillery Analyst with the 8th Army Headquarters and Headquarters Battalion in Yongsan, Korea. After completing the Basic Airborne School at Fort Benning, Georgia, he was assigned to the famed 1st Battalion, 504th Parachute Infantry Regiment, 1st Brigade Combat Team, 82nd Airborne Division, where he served as an Intelligence Analyst in the Battalion Intelligence Section. During this assignment, he served as the Future Operations Analyst during Operation Swift Response at the Joint Multinational Readiness Center in Hohenfels, Germany. 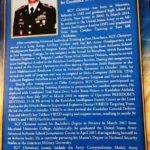 In October 2016, he earned the rank of Sergeant and was re-assigned to Delta Company (MICO), 127th Airborne Engineer Battalion as an All-Source Intelligence Sergeant and Team Leader. Shortly after reassignment to Delta Company, SGT Christian participated in the Brigade Culminating Training Exercise in preparation for combat operations. He deployed with Combined Task Force Devil Strike Brave Hearts to Kandahar Airfield, Afghanistan from July 2017 to March 2018 in support of Operation FREEDOM’S SENTINEL 17-18. 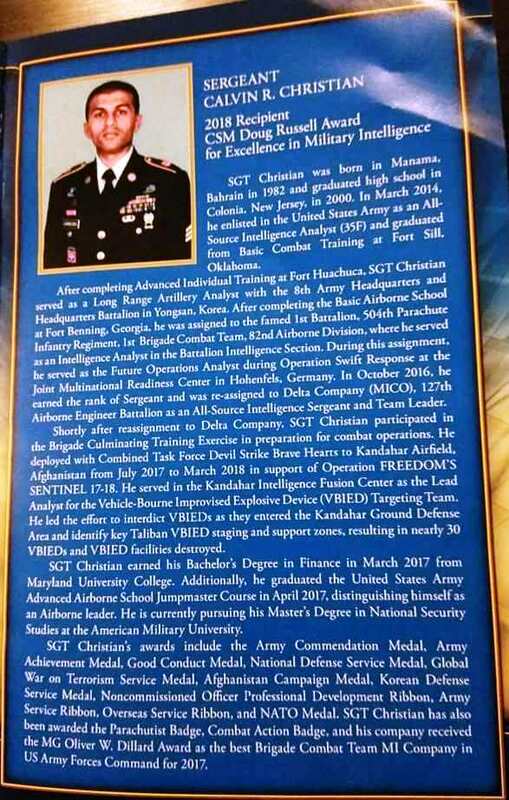 He served in the Kandahar Intelligence Fusion Center as the Lead Analyst for the Vehicle-Bourne Improvised Explosive Device (VBIED) Targeting Team. He led the effort to interdict VBIEDs as they entered the Kandahar Ground Defense Area and identify key Taliban VBIED staging and support zones, resulting in nearly 30 VBIEDs and VBIED facilities destroyed. SGT Christian earned his Bachelor’s Degree in Finance in March 2017 from Maryland University College. Additionally, he graduated the United States Army Advanced Airborne School Jumpmaster Course in April 2017, distinguishing himself as an Airborne leader. 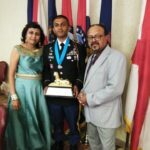 He is currently pursuing his Master’s Degree in National Security Studies at the American Military University. SGT Christian’s awards include the Army Commendation Medal, Army Achievement Medal, Good Conduct Medal, National Defense Service Medal, Global War on Terrorism Service Medal, Afghanistan Campaign Medal, Korean Defense Service Medal, Noncommissioned Officer Professional Development Ribbon, Army Service Ribbon, Overseas Service Ribbon, and NATO Medal. 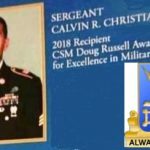 SGT Christian has also been awarded the Parachutist Badge, Combat Action Badge, and his company received the MG Oliver W. Dillard Award as the best Brigade Combat Team MI Company in US Army Forces Command for 2017. 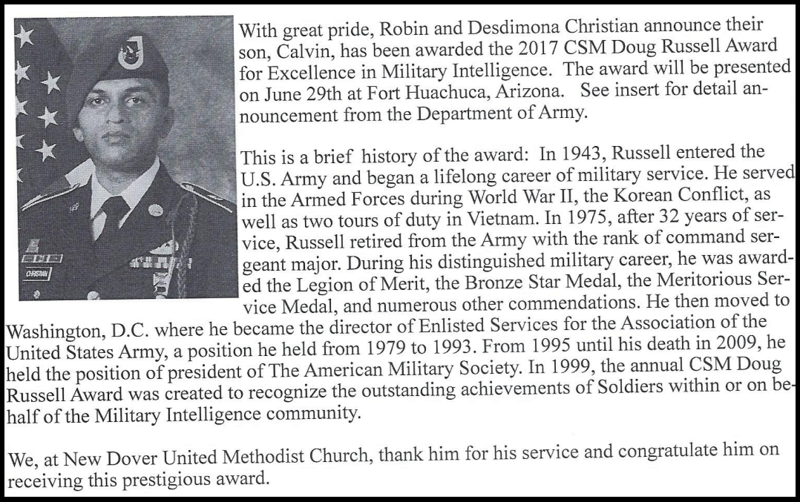 The CSM Doug Russell Award was established in 2000 to recognize the outstanding achievements of Soldiers within or on behalf of the Military Intelligence Community. In 1943, Mr. Russell entered the United States Army and began a lifelong career of military service to his country. He served in the Armed Forces during WWII, the Korean Conflict, as well as two tours of duty in Vietnam. 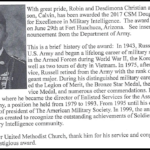 In 1975, after 32 years of service, Mr. Russell retired from the United States Army with the rank of Command Sergeant Major. During his distinguished military career, he was awarded the Legion of Merit, the Bronze Star Medal, the Meritorious Service Medal, and numerous other commendations. He then moved to Washington, DC where he became the Director of Enlisted Services for the AUSA, a position he held from 1979 to 1993. From 1995 until his death in 2009, he held the position of President of The American Military Society, also in Washington, DC. To be eligible, a candidate must be a Soldier in the rank of Sergeant (E-5) or below in the Active Army, Army Reserve or National Guard. While it is not mandatory that the candidate hold an MI Military Occupational Specialty (MOS), he/she must have performed actions that directly contribute to the MI Corps during a calendar year. (1) Be a Soldier in the grade of Sergeant (E5) in the US Army during the period of eligibility. The MI Corps CSM may approve SSG packets if accomplishments were made as a SGT within the covered period. (2) Be fully eligible for continued service for at least one year after award presentation. 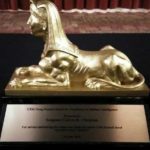 Award cannot be given posthumously. (3) Must not be under unfavorable personnel action or UCMJ. (4) Meet height and weight standards specified in Army Regulation (AR) 600-9. (5) Maintain a current passing grade on the Army Physical Fitness Test (APFT). The APFT requirement is waived for deployed nominees who are unable to take the APFT. 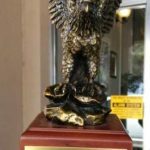 Nominations are accepted only for individual Soldiers (no unit or group nominations). Soldiers cannot self-nominate. 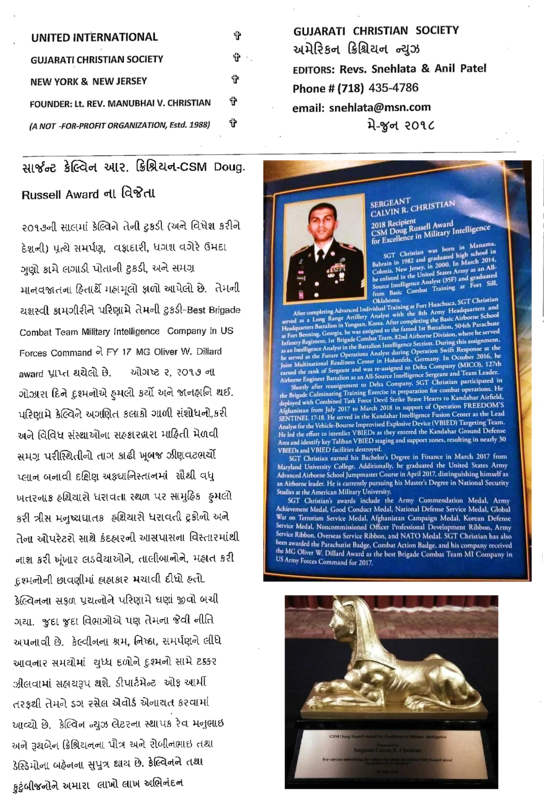 Previous PostAMERICAN CHRISTIAN NEWS ISSUE – MAY-JUNE 2018.Next PostGCSofUSA invite all member and faithful for a holy mass in Gujarati celebrated by Fr. Lawrence Martis.